The skin absorbs approximately 60% of what is put on the body. That means that the chemicals in your beauty products are entering your bloodstream every time you put them on. It’s kind of an oxymoron if you think about it. We use beauty products to look our best, but these chemicals are actually harming us and our bodies. Luckily, more and more natural options and companies are hitting the scene. There are much less toxic versions of the beauty items we covet as women on the market today so you don't have to sacrifice your beauty rituals for your health. I could have easily written multiple pages on the topic but decided to focus solely on the essentials (foundation, mascara, lipstick, and blush) you need to do a perfect 5-minute face. A note on pricing. When you move towards natural/clean beauty products, you may notice that prices can be higher than what you may be used to paying. Please don’t let this deter you! While they may cost you more upfront, you are getting a product made from safer and healthier ingredients and that can be priceless for your health in the long run. 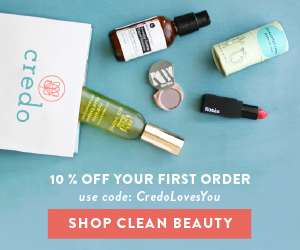 You are also voting for better ingredients and safer products for women with your purchase by supporting brands that are committed to women’s health. We certainly need more of those!!! The products listed below come from reputable brands and companies that are committed to changing the beauty scene for the better. I hope this rundown helps you make informed choices while keeping your beauty routine fun! A good foundation is the backbone to your makeup regime. Finding the perfect shade that covers, blends well, and leaves the skin feeling moisturized is the goal. Here are three natural options that will make you rethink your current choice. · Mineral Fusion Pressed Powder Foundation- All of their products are made in the US and are handmade. They use a powerful blend of antioxidants including white tea, red tea, pomegranate, vitamin C, and vitamin E. Mineral Fusion promises products free from gluten, parabens, talc, artificial colors, synthetic fragrances, SLS, and phthalates. They also never test on animals. Fifteen shades to choose from and the price reasonable price of $24 on Amazon definitely makes this an option worth checking out. 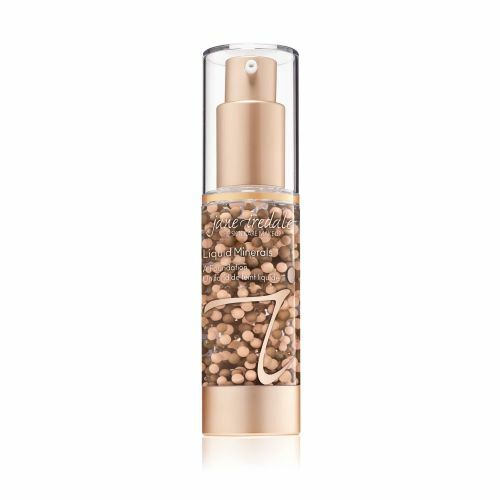 · jane iredale Liquid Minerals A Foundation- A well established brand in the natural community, Jane Iredale's products are certified organic and natural by Ecocert. The company uses state-of-the-art technology which prevents active ingredients from degrading and allows them to be time-released into the skin for optimal absorption. They use ingredients like castor seed oil to soothe, vitamin E to protect and beeswax to provide bacterial protection rather than harmful synthetics. Not to mention, their line is cruelty-free. · W3LL People Narcissist Foundation- Women on the go, their stick foundation is perfect for you! The creamy formula contains natural and organic ingredients including an advanced botanical complex of organic aloe, organic chamomile and organic green tea. Their formula also nourishes with rich, organic omega oils. It is available in a small range of 8 colors and hopefully will expand soon. This US made foundation does not test on animals and their products are made without artificial preservatives, parabens, harsh chemicals, dyes, fragrance, silicone, dimethicone, pthalates, sulphates, petroleum, talc, bismuth oxychloride, nanoparticles. Looking to create those long, luscious, lashes and to make your eyes pop? Then you know the importance of a good mascara and what it can do for you. Why not try one that is also kind to your eyes. · 100% Pure Fruit Pigmented Ultra Lengthening Mascara - 100% Pure’s cosmetics are colored from fruit, vegetable, tea and other plant pigments. Hence, the name. Their mission is to promote the purest products and clean, healthy living. The company as offers a link on their website to "Our No List " which is about a mile long referencing all the chemicals they exclude from their brand. 100% Pure's mascara is found in four different shades and promises to lengthen and separate lashes without clumping, smudging, or flaking. · Zuzu Luxe Mascara – This is an excellent choice for contact wearers and sensitive eyes. It promises to leave your eyes happy, avoiding the irritation many mascaras cause for wearers. Zuzu Luxe’s products are made in the US and are organic and made from 100% natural ingredients. They value being gluten-free, cruelty-free, and vegan. · Juice Beauty Phyto-Pigments Mascara – Juice Beauty’s products are made from aloe leaf juice, plant wax, argan powder, rose powder, and purple carrot phyto-pigment. They are vegan and cruelty-free. This mascara gets rave reviews for it being smooth and that you can do buildable coats. For so many, lipstick is your crayon box. It is where you let your personality shine and add a little pop of color into your 5-minute face. Have no fear, you can still have plenty of options and these lipsticks will nourish rather than dry out your lips. · Burt’s Bee 100% Natural Moisturizing Lipstick- Burt’s Bee offer a nice selection of affordable regular and liquid lipsticks. These beautifully packaged gems do not contain propylene glycol, butylene glycol, polyisobutene, parabens, phthalates, petrolatum, DMDM hydantoin, sodium lauryl, sulfate, sodium laureth sulfate, mineral oil, paraffin, or synthetic sunscreens. Committed to the well-being of all, they do not test on animals and offer a recycling program to do their part for the environment. You can ship back your empty containers and they will make sure that they get recycled. How's that for clean beauty? 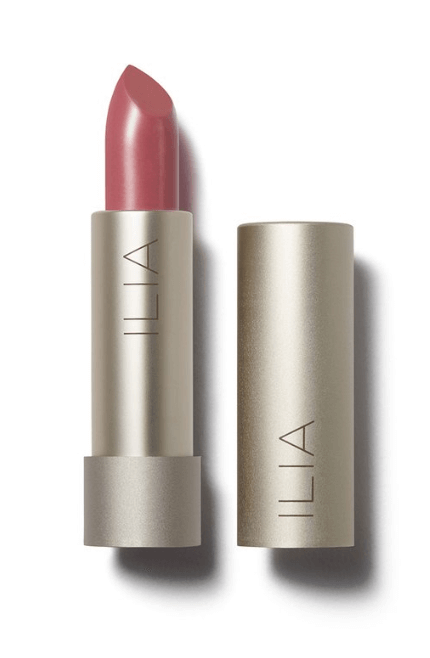 · Ilia Beauty Lipstick – This lipstick comes in twelve stunning shades and delivers a creamy semi-matte finish. The brand uses natural and organic ingredients and are gluten-free and cruelty-free. Built on a mission of simplicity, their lipsticks are packaged from recycled aluminum. · Honest Beauty Truly Kissable Lip Crayon - This demi-matte lip crayon comes in 6 different colors and moisturizers with ingredients like jojoba seed oil, murumuru butter and shea butter. Jessica Alba founded The Honest Company because she wanted safe, effective products that perform. Her lip crayons are made without parabens, paraffin's, silicones, talc, petrolatum, mineral oil, or synthetic fragrances. That surely makes it kissable. Sign up with your email address to receive news to improve your PCOS. These are tips that I ONLY share with my subscribers! The right blush gives you that youthful glow and brightens up your whole face. Since the first days of makeup, women have been using natural items to perk up their cheeks (think berries) so it is no wonder there are some fabulous options in this category. · Root Pretty Mineral Blush- This blush is great for sensitive skin types and has the quality of professional products. The ingredients are organic and natural with zero fillers. Root Pretty’s vegan and gluten free line is pure quality. They do not use any harsh chemicals or artificial dyes in their products. Krista Dolash, the brand's founder, believes that what you put on your face should be natural, safe and enhance your beauty at a price anyone can afford. Amen! I strongly support others who believe in catering to the everyday population and not just an exclusive few! Root Pretty offers a whole line of cosmetics, not just blush, so make be sure to peruse their site. · Zuii Organic Flora Lip & Cheek Creme- This blush pulls double duty being that it can be used on your cheeks or lips. A multitasker for a 5-minute face, yes and thank you! It is lightweight and great for all skin types even us sensitive gals. Zuii uses organic ingredients and is vegan. If you are looking to stretch your dollar as you change over to safer beauty, two items in one is a nice start. 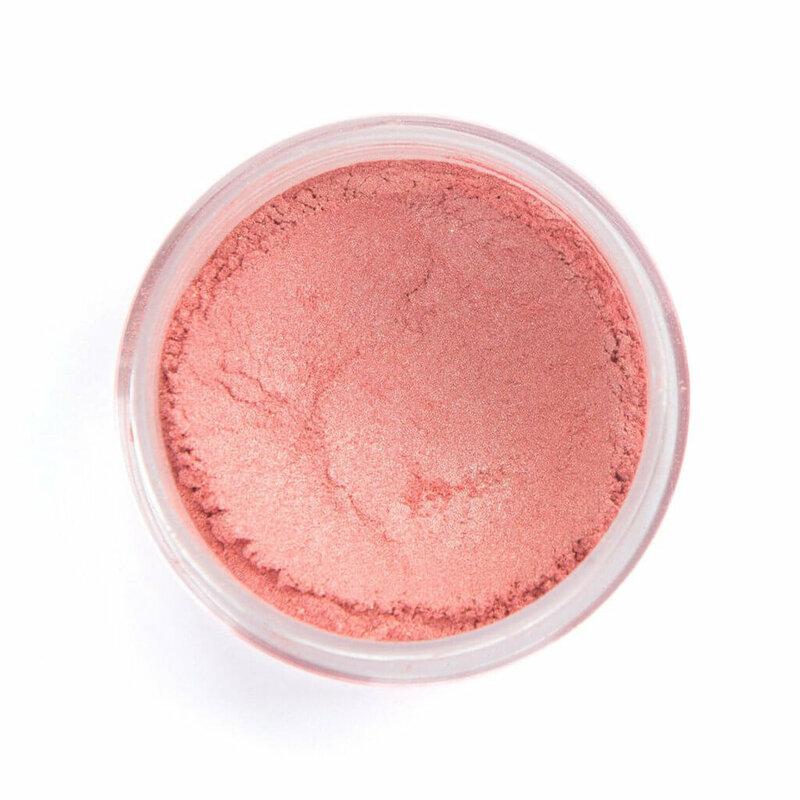 · HAN Skin Care Cosmetics All Natural Blush- What makes this blush special is that they use a nutrient dense formula and its pigmentation comes from pink carrot, red quinoa, and other natural sources. Made in the USA, HAN utilizes antioxidants from superfruits, green and black tea, and vitamins to pamper the skin. This blush is talc-free and made with rice powder instead. HAN is all natural, vegan, and cruelty-free. Making the move to a healthier beauty routine doesn't have to be a chore. If you are working hard to take care of yourself in other aspects of your life, this area shouldn't be the exception. Swap out current items from your makeup drawer as you use them up. These finds would make great gifts so spread the word to your family and friends and let them fill your healthier beauty drawer for you! Have you had success with any products that I should know about? Leave me a comment below!